I wanted to express the heartfelt appreciation my wife and I have for the 2nd Recess program you have developed. I’m still astonished that athletes at your level are willing to take time away from work, training, etc. to mentor our children. Can you imagine an elite NBA basketball player giving up one night a week to supervise and coach all comers? I can’t. I feel very lucky that my kids are learning proper training techniques from professional athletes. I’m sure my five year old is one of the few in America that knowingly runs fartleks! You have done an amazing job making the program affordable to kids from all walks of life. Where else can you find a program for kids at a cost of ~$4 / hour?!? Add in the fun t-shirts, weekly snacks, and great season-end prizes… it is truly a unique situation. The kids genuinely have a blast. By deftly meshing play, exercise, and occasional elements of low-key competition you keep the kids interested and motivated. Innovations like “world’s longest hop-scotch” and “watermelon run” are favorites in my house-hold. Personally, I love to watch the kids cheer for one another during relay races. If I ask my kids what they like most about 2nd Recess, they say the coaches. By putting together a great staff that includes warm, knowledgeable folks like Marie and Kyle you have essentially grown the business, without sacrificing any of what makes it great. 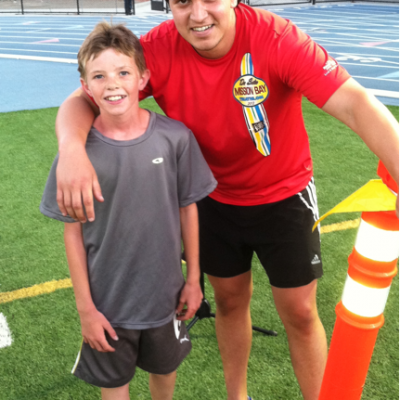 Speaking personally, to have the children engaged in exercise immediately adjacent to adult San Diego Track Club workouts is one of the best elements of the program. I know of nothing else like it. 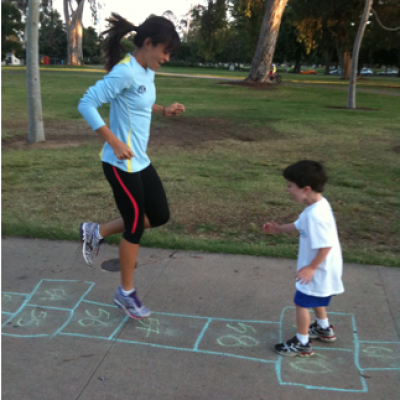 My family loves our Tuesday ritual of San Diego Track Club/2nd Recess—having everyone involved makes it more meaningful. We appreciate the chance to engage our children while driving to the practices and often complete the evening with a dinner out. Finally, 2nd Recess is different from other activities in that it transcends running. Broader concepts such as motivation, healthy eating, goals, and even life philosophy are discussed each and every week. Becoming a better runner is one thing, but becoming a better person is something altogether more powerful. For these reasons and many more, THANK YOU and please keep up the great work!! I cannot tell you how impressed I have been with the entire 2nd Recess experience! The coaches have a gentle and firm hand, an obvious love for track and, at least as importantly, an obvious love for the children. They maintain a supportive, positive and disciplined class that offers tremendous benefits to the kids – and not only physically. I enrolled my son, Aaron, into 2nd Recess because he expressed an interest in track. After a couple weeks coming, my 5 year-old son, Alex, wanted to join in. The first week I had to participate with him for the first half, but after that he was on his own. He mentions track every single day, and we now count down the days (and even hours) until he’s back on the field! As a parent it’s wonderful. As someone who works with children (I direct and stage manage the shows for the City’s huge dance program) I feel I’m especially qualified to give criticism and praise. For 2nd Recess – I wouldn’t change a thing. The instructors have been wonderful, the experience entirely positive for my kids and my family. Congratulations on such a wonderful and supportive experience you’ve created. We’ll be back – you can count on it! Harrison’s love for running was truly encouraged and ignited by your program. He has continued to look to both of you for inspiration and guidance. He has stated several times that he knows you believe in him and consequently feels inspired to continue to push himself. He looks to you for tips and coaching. I also feel very comfortable turning him over to your positive outlook and leadership. I feel very honored to have released him to you for what has truly proven to be his passion. ​You have helped him set goals for running as well as higher education. He has now registered for his second half-marathon and is planning on acquiring the Triple Crown this year! 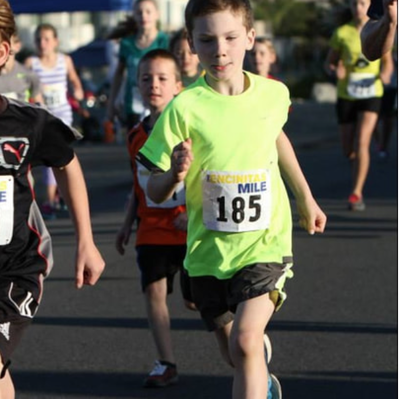 As an 11 year old, he has already made a plan for his college career (University of Oregon) that includes not only his love for running, but knowing that he also needs to focus on his education. Thank you for all that you have given, and continue to give him. Jada is learning about the significance of exercising regularly and eating healthy foods. My daughter, Jada Kim, has been running with 2nd Recess for several seasons now. We LOVE it! 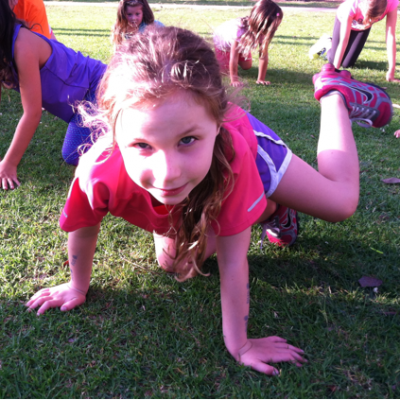 She has learned so much about running and track and field activities. She is a small girl but boy, she has gotten faster! ​Most importantly, she is learning about the significance of exercising regularly and eating healthy foods. And she is rewarded at 2nd Recess for showing up with a good attitude and the desire to give her best effort. We are so blessed to have these special coaches in our lives.